Above, Dallas Fire Station No. 41 on Royal Lane, just west of Preston Road, about the time it opened (the back of the photo says service began Jan. 16, 1958). It looks as if it’s been set down upon a bleak and barren piece of land in the middle of nowhere, but, actually, commercial development in this Preston Hollow-area neighborhood was … um … on fire in 1958. The large shopping centers at Preston and Royal were under construction at this time, and even though it was very far north, it was most certainly a desirable area in which to live (as, of course, it still is). The station was designed by architect Raymond F. Smith who had previously designed a couple other fire stations in town, but who was known mainly for his work designing movie theaters, such as the Casa Linda (1945), the Delman (1947), and — hey! 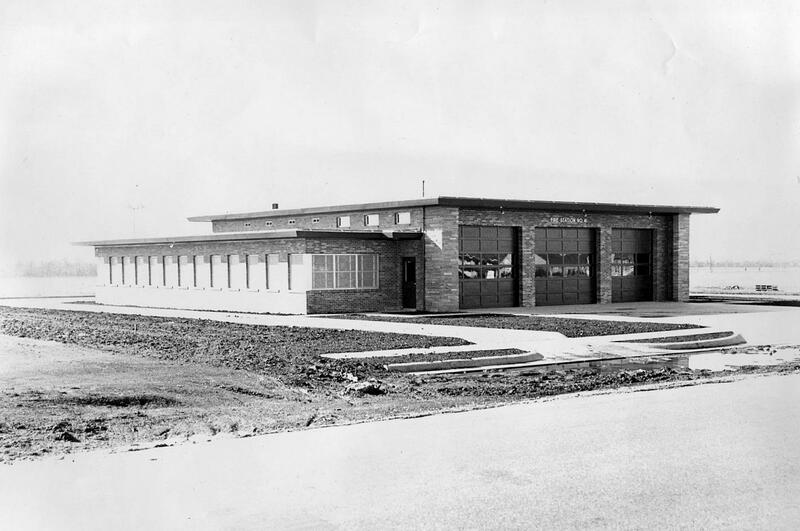 — the (long-gone) Preston Royal, which opened in 1959 right across the street from this fire station (both of which were, rather conveniently, a mere four blocks away from Smith’s Royal Lane residence). 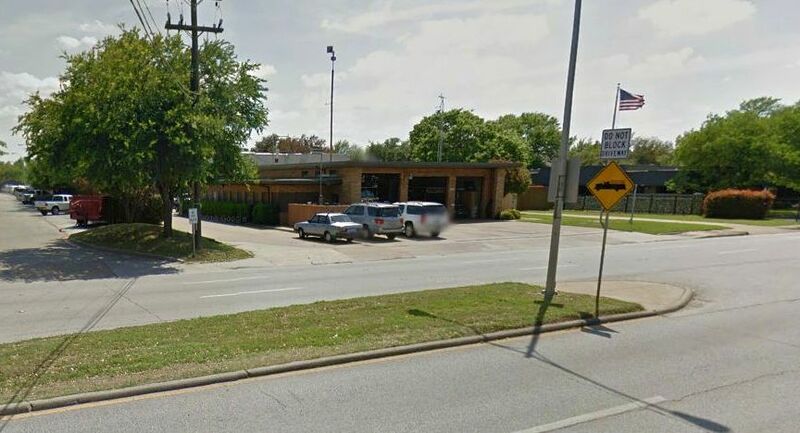 The station is still in operation, working to keep North Dallas flame-free — it just has a few more neighbors (and trees!) now than it did in 1958. Photo from the Dallas Firefighters Museum, via the Portal to Texas History. It can be viewed here. Image of the present-day firehouse from Google Street View.